Global apparel brand UNIQLO celebrates its first year in the Philippines with a big bang, offering best selling T-shirts, innovative innerwear and functional apparel at a special anniversary price. UNIQLO blazed the trail in fashion retail shopping last year when it opened its first store at the SM Mall of Asia, where thousands of Filipinos lined up to get into the store. This anniversary promo, thus, is UNIQLO’s way of expressing a big Thank You to its thousands of loyal Pinoy shoppers. 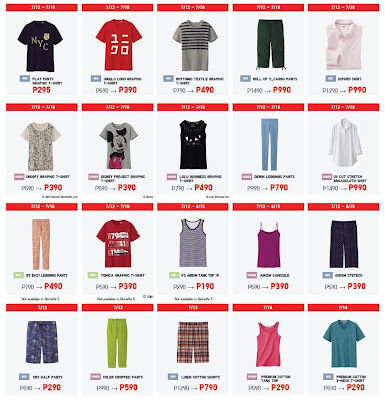 Get selected UNIQLO Graphic T (UT) for as low as P390 from July 12-18, 2013. AIRism innerwear is on sale until August 15 for only P390. Plus, more bestselling bottoms like leggings pants, cargo pants and linen cotton shorts at further reduced prices on a limited time. 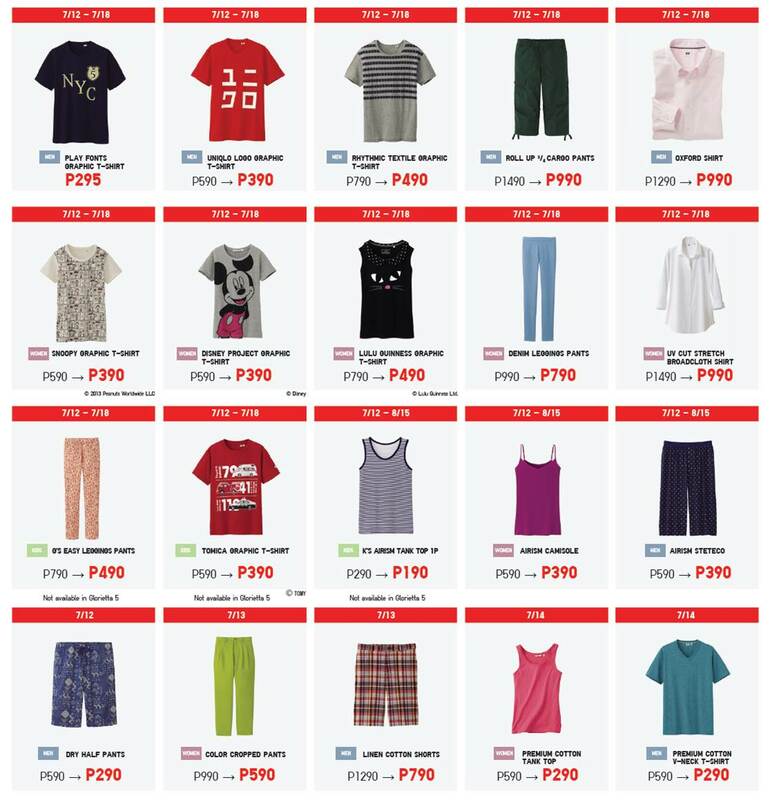 Enjoy these unique offers from UNIQLO at its stores located at SM Mall of Asia, The Block at SM City North Edsa, SM Aura Premier, SM City Pampanga, SM City Fairview and Glorietta 5 (except for the Kids line). And get a free UNIQLO umbrella for every P2,500 single receipt purchase from July 12-14, 2013.